This is D.P.R. website for the Americas and the Caribbean. For all other countries, please visit www.dpr-srl.it. Thank you. | Este es el sitio web D.P.R. para las Americas y el Caribe. Para todos los otros paises, por favor visiten www.dpr-srl.it. Gracias. 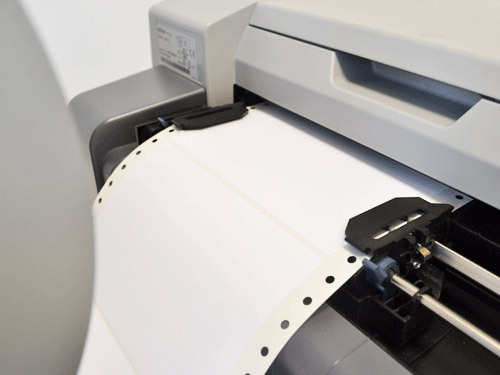 The new Unwinding/Rewinding system for Epson C831 Inkjet Label Printer can handle media up to 9.45" (240mm) wide and unwind/rewind label rolls having outside diameter up to 10" (254mm). 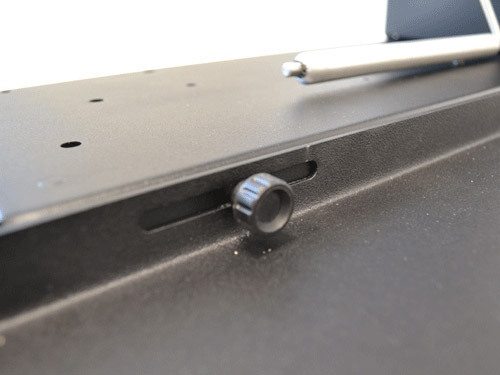 Units are equipped with a 3" (76mm) core holder. 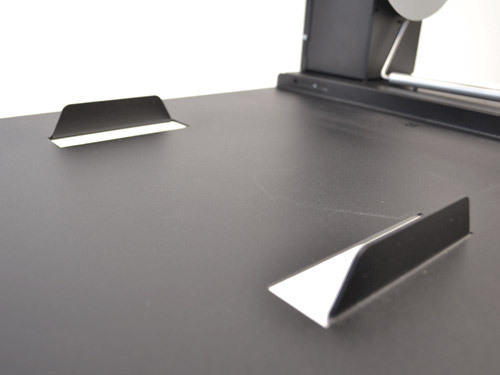 In order to guarantee a perfectly aligned media path, a specific baseplate which easily accomodates the Epson C831 is available, so to have a complete printing station unwinder + printer + rewinder. Designed to easily handle tractor feeder media, the system can be matched with the D.P.R. 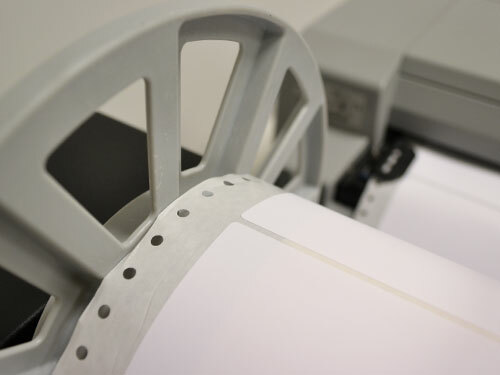 Label Slitter that would unwind the previously printed roll, slit the tractor feeder edges and rewind labels to finished rolls. 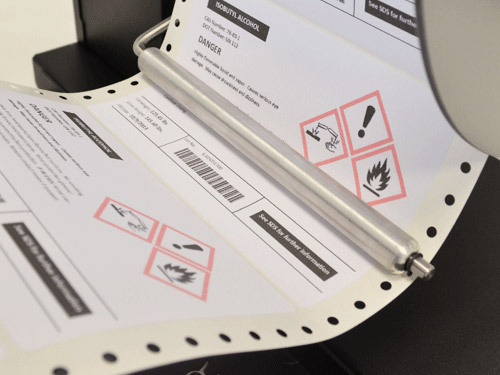 The longitudinal label slitter for Epson C831 printer satisfies the present-day necessity to make the most of the print area with the possibility to obtain more rows of labels from the same roll, and then split it through the use of the slitter. The cutting operations are done by a common cutter blade that is located in an opposite blade holder. The slitter has an external auto-switching 100/240VAC - 5A at 24V power supply and an electronic circuit controls all its functions. 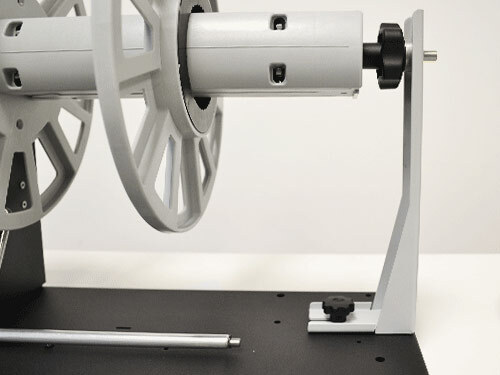 The slitter is equipped with a 3" (76mm) core holder and capable of handling rolls up to 10" (254mm) diameter and up to 8.26" (210mm) wide. Minimum slitting width 0.87" (22mm). As one of the leaders in the label industry, D.P.R. (D.P.R. Labeling LLC is a US branch office) is committed to producing quality labeling equipment such as label rewinders and unwinders, label dispensers, automatic label counters as well as finishing equipment like label slitters, matrix remover & slitting systems, and digital label finishing using cutting plotter and laser technologies.